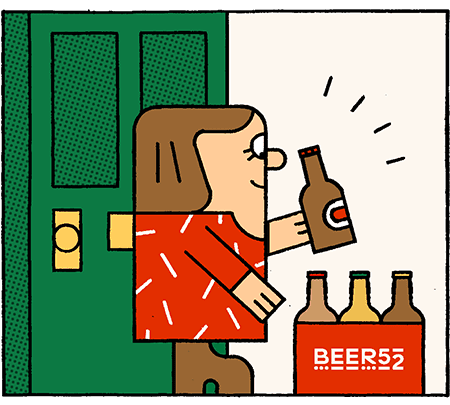 It’s not hyperbole to say that Pinta single-handedly kickstarted Poland’s craft beer scene. It’s not hyperbole to say that Pinta single-handedly kickstarted Poland’s craft beer scene. Although the brewery arose out of an already healthy homebrew community, of which founder Ziemowit Fałat was an enthusiastic member, Poland had previously been a virtual wasteland of commercial lagers, weizens and schwarzbiers. All this changed when Ziemowit decided to take his home-based experiments with the traditional Polish oak-smoked beer style of Grodziskie – which had not been brewed commercially in Poland for 25 years – and scale it up at a contract brewery. When he crunched the numbers though, the results made his heart sink. “So in 2010 I brewed 1666 small bottles of Grodziskie, we counted the cost and it worked out at 5 Zloty a bottle: more than double the regular price of beer, even if we sold it at cost. We though ‘oh my God, how can we sell that?’ We didn’t even know if it was a style that held any interest outside the homebrew community. Since then, Pinta has brewed around 100 different beers. As the market has evolved rapidly around them, with more breweries springing up and ever-more sophisticated drinkers, Pinta has successfully stayed ahead of the curve, delighting its fans with this steady stream of new styles. Around one third of the brewery’s output consists of what might be considered ‘traditional’ styles from across the world, while fully two thirds are more experimental. Ziemowit is keen to emphasise, however, that his focus is and will always be on drinkability. Another related part of Pinta's DNA is a love of travel, and of collaborating with like-minded breweries from around the world including Ireland's O'Hara's and France's Brasserie du Pays Flamand. One of its earliest such collaborations was on a sour beer, Kwas Alfa, with Tobias Emil Jensen from legendary Danish brewery To Øl brewery, which is soon set to be repeated. Pinta has also founded an ongoing project, the Pinta Hop Tour, which sees the guys visit countries not recognised within Poland for hop production, and then brew a beer back home with the hops they discover. Countries visited so far include Argentina, South Africa, Tasmania and New Zealand, Ethiopia, Japan, Ukraine, Romania, Russia and even North Korea (“depending on how it goes with Trump”) are also on the list. While all these beers are currently still brewed under contract, Pinta will soon have its own custom-built brewery, scheduled to start brewing next Spring. Export is becoming increasingly important to Pinta as Poland’s domestic craft scene matures. As it stands, Ziemowit firmly believes that it wouldn’t be possible to remain “honest and authentic” beyond 50,000 hectalitres a year, if it just served the domestic market. Times are definitely changing and, having now chatted with the oldest craft brewery in Poland, there is a definite sense that the whole Polish craft scene could be moving into the next stage of its evolution (as all scenes inevitably do). However, with Pinta continuing to set the pace for such a quality-conscious crop of other young breweries, all backed by an enthusiastic, knowledgeable and sophisticated community of beer lovers, the future is something to be welcomed rather than feared.